Shower activity associated with a low pressure system located about 475 miles south of Manzanillo Mexico continues to show signs of organization. environmental conditions are conducive for development and a tropical depression could form during the next day or so. This system has a high chance 80 percent of becoming a tropical cyclone during the next 48 hours as it moves west-northwestward at about 10 mph. 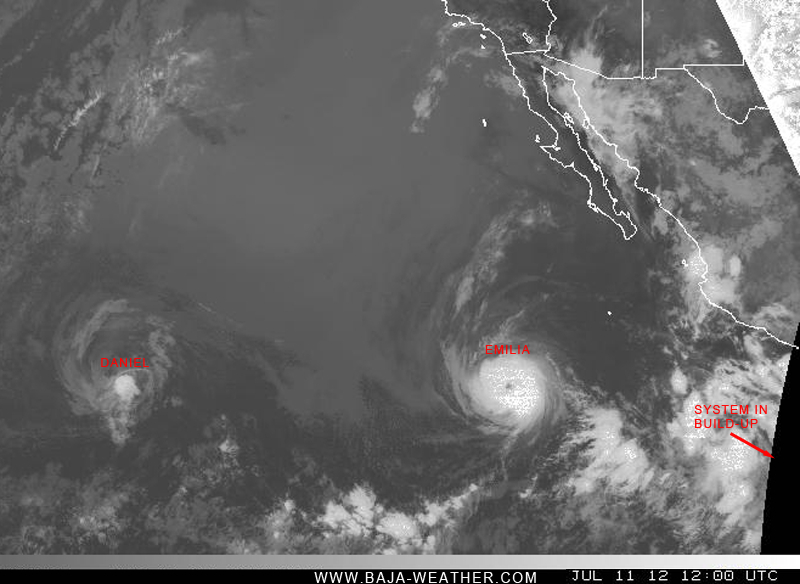 Hurricane Emilia is located about 720 miles southwest of the southern tip of Baja California. At 200 am PDT the center of hurricane Emilia was located near latitude 14.6 north longitude 116.6 west. Emilia is moving toward the west-northwest near 17 km/h and this general motion is expected to continue for the next couple of days. Emilia is a category two hurricane on the saffir-simpson hurricane wind scale. Slow weakening is forecast during the next 48 hours. Tropical storm Daniel located about 1055 miles east-southeast of the Hawaiian islands. Daniel expected to cross over into the central pacific ocean later this morning. 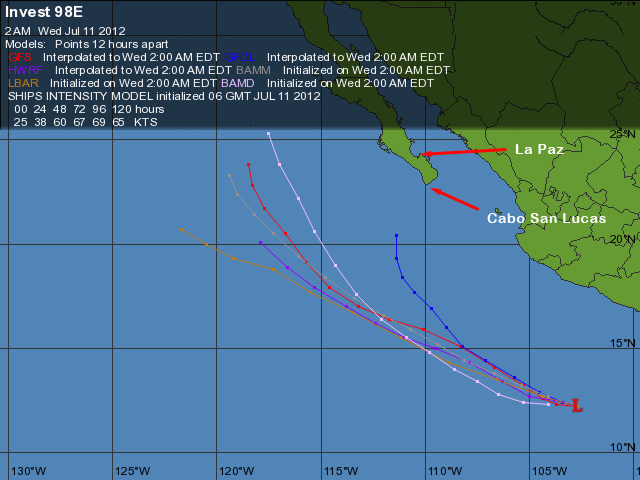 at 200 am PDT the center of tropical storm Daniel was located near latitude 15.4 north/longitude 139.7 west. Daniel is moving toward the west near 26 km/h and this motion is expected to continue during the next 48 hours.